This fortnight we have a real assortment of offerings, from throwback Sherlock Holmes adventures on Netflix to a mix of British classics old and new on the BBC. It may not be Billy Wilder’s most essential film but The Private Life of Sherlock Holmes could be the consulting detective’s best on-screen portrayal. Robert Stephens brings a bumbling and camp eccentricity that the likes of Cumberbatch and Downey Jr could only dream of mustering up, while Colin Blakely provides a performance that I can only describe as a gentlemanly George Costanza, ever behind on goings on. Where Holmes’ surroundings can often suffer from a dank and colourless palette, Wilder bring a vibrant period drama tone to the whole affair. It’s a standard offering of mystery and intrigue elevated by a sharp eye. To subscribe to Netflix, click here. Werner Herzog’s Into the Abyss might not be the most fun time in the world but the director’s fascination with the human condition shines through as much as ever in this touching documentary. Speaking to the criminals, victims and others involved in a murder case, Herzog explores the ethics around capital punishment and the consequences that state supported killing has on society. He has a persistence in gaining sincere and human answers that others may not look for in violent criminals. He has a belief that they are as capable of profundity as victims of crime, which introduces the viewer to a conflict they might not be expecting. To join Amazon’s Prime service, click here. To sell a film as scathing, as ludicrous and as hard to define as The Discreet Charm of the Bourgeoisie is not an easy task. Luis Buñuel’s swing at the upper classes portrays a group of friends who cannot seem to finish a diner party together without some ridiculous interruption spoiling the tranquility. As the disturbances become more and more absurd Buñuel deals bigger blows to the hypocrisy, unaccountability and deluded sense of victimhood that the gentry possesses, before finally pointing a sharpened finger at the upper-class’ ignorance towards fascism and how they are complicit in the ideology of supremacy. Believe it or not, the film is a hoot. To sign up to MUBI click here. I’m forced to recommend four excellent recent additions to iPlayer. Two British classics in the working class bitterness of Look Back In Anger and the evergreen romance of the classic Brief Encounter. Then the more recently celebrated Mustang whose sisterly defiance isn’t just a theme of the film but also an energy that runs throughout. Then if you have time then please check out the incredible Florence Pugh in Lady Macbeth. I have a few quibbles with the film but Pugh perfectly conveys frustration and repressed want in one of the performances of the decade. BBC iPlayer can be accessed for free by any TV license holders here. With Happy As Lazzaro recently hitting U.K screens it’s as good a time as any to check out Alice Rohrwacher’s previous feature: The Wonders. 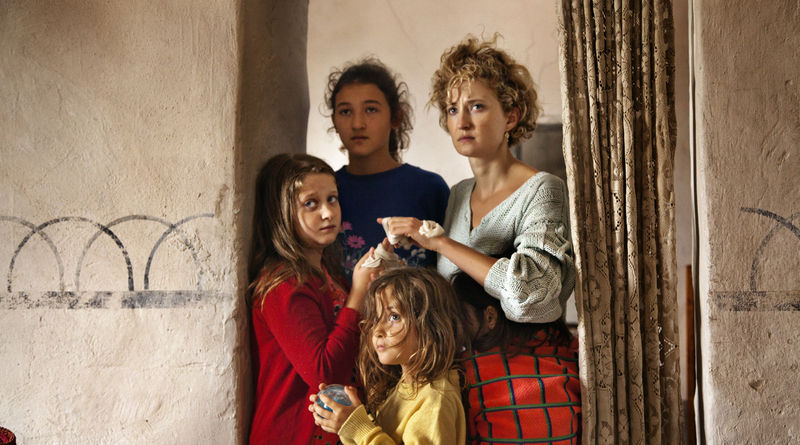 The story of a teenage girl and her family in rural Italy, we follow Gelsomina as she works tirelessly with her dad making honey and doing other farm chores. Gradually Gelsomina longs for more and signs her family up to a TV talent show. Later on we experience a seamless and instant switch from social realism to an ethereal tone pitched somewhere between low budget Saturday morning TV and Georges Méliès’ Under the Seas. Rohrwacher is quite the talent. To sign up with BFI, click here. Long and incompetent man who is being allowed to write about films you can watch from your bed.